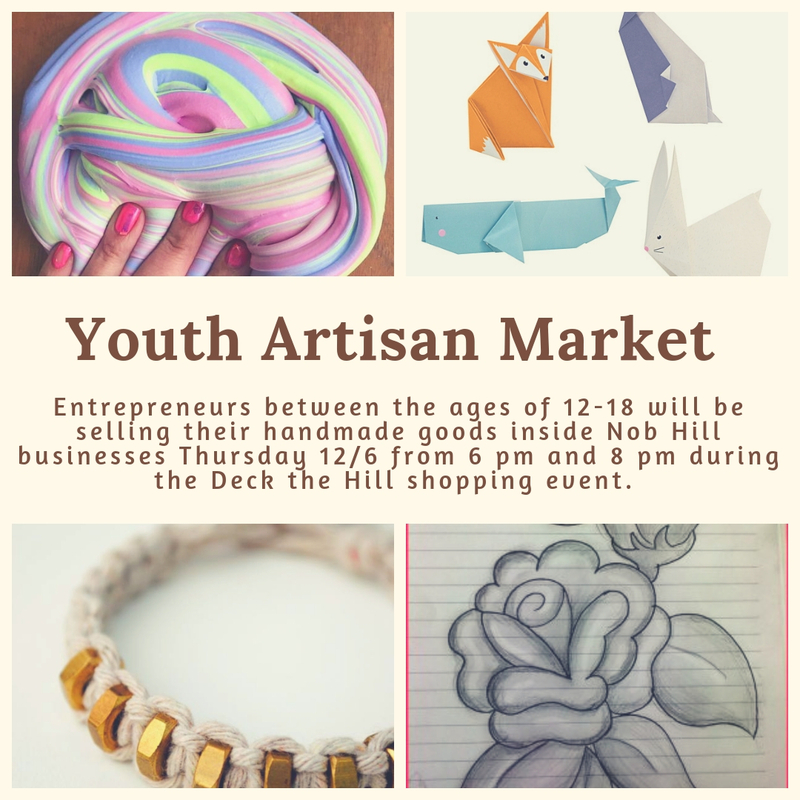 The Inaugural Youth Artisan Market is happening on Dec. 6th during Deck the Hill (Nob Hill’s newest iteration of Shop and Stroll). Stop by various Nob Hill businesses located from Wellesly to Carlisle between 6 pm and 8 pm and see what entrepreneurial kiddos have for sale – sewn purses, origami, drawings, jewelry, sculptures, ornaments and lots of other crafty stuff! Look for the tree signs in business doors – that lets you know there’s a youth artisan inside. Bring cash to purchase from Youth Artisans and a reusable bag for them to put your purchases in. Support a hyper-local teen powered economy!